I have a tiny obsession with purple shaded lipsticks .. To be completely honest, I have quite the obsession with all sorts of lipsticks, but lately I have been loving the purple colors! Here are some of the ones I pocess and some that are on my wishlist this christmas - I think they all look so beautiful! 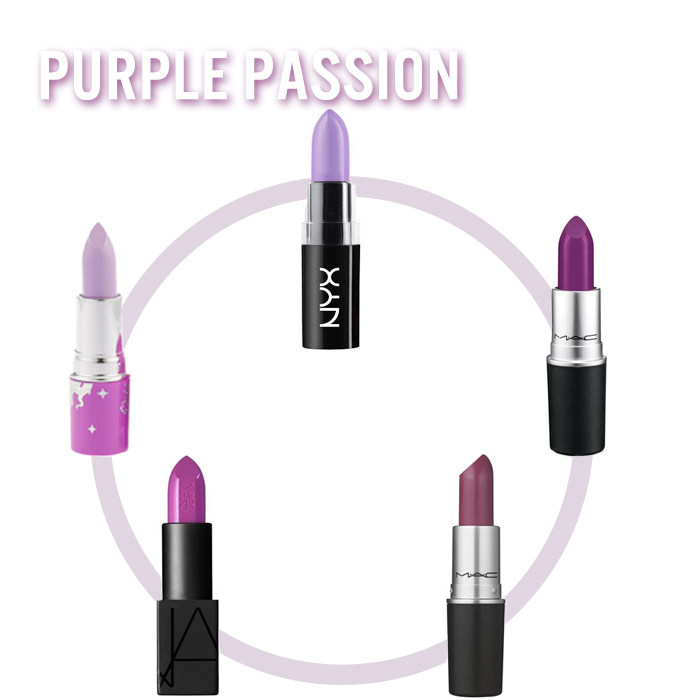 You can find thousands of different purple lipstick shades, like lilac, violet, deep purple and so on! If only I could own every single one of those shades. I love building and forming my lip with the Currant lip liner from MAC, adding Up The Amp on top and sometimes top that op with a sheer lipgloss, maybe with a little shimmer, for example the Viva Glam Rihanna 2 Lipglass! What are some of your favorite lipstick colors? Tell me in the comments!